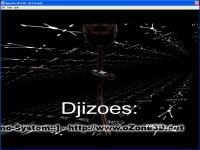 Djizoes Demo. Sound, hierarchy with gizmo and texturing. Shows how to use the audio card spectrum to animate objects. For Demomakers only! It also shows how to initialize and use global variables in LUA and how to use the play_list node to play several audio tracks. 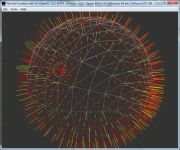 Shows a technique to build 2D and 3D equalizers. Page generated in 0.0031940937042236 seconds.